If you could only eat one food for the rest of your life, what would you pick? The seemingly simple question is actually deceptively complicated as you have to consider both your health and your taste buds. For many people, pizza is a perfect food. Not only is it delicious, but you never get tired of the taste of a good slice of pizza. For meat-lovers steak is typically a luxury meal that is only enjoyed occasionally. For that reason, it was a popular choice as a food to eat for every meal for life. French fries might not be the most nutrient dense food to choose, however, there are so many varieties of french fry cuts and cooking methods that it would be hard to get sick of the tasty food. Spaghetti is a staple meal in almost every household. With people eating the carb-based dish almost every day, it wouldn’t be too much of a stretch to have it for every single meal. Chinese takeout food is far from healthy and most nutritionists wouldn’t recommend eating it often. Yet it’s a favorite option because it’s so consistently delicious. Every kid dreams of being able to eat ice cream for breakfast, lunch, and dinner. Turns out, most adults do too, even though they know they’d probably be horribly sick after just a few days of an ice-cream-only diet. Cheeseburgers are an American staple and yet another food that, apparently, meat-eaters never tire of eating. The crispy layer of fried batter that surrounds pieces of chicken can be incredibly addictive. The dish is also easy to eat at all times of the day, which is why it’s a popular choice for people faced with choosing only one food for life. Bacon definitely shouldn’t be eaten for every meal as saturated fats can lead to diabetes, weight gain, cholesterol problems, and heart disease. However, people are passionate about bacon and are willing to put their health in jeopardy to enjoy a bacon-only diet. Like bacon, people are passionate about macaroni and cheese and most cheese-lovers would happily give up every other meal so that they could eat the cheesy pasta dish for the rest of their lives. Grilled cheese is an incredibly simple dish made with just some bread, oil, and a couple of slices of cheese. However, it’s a comfort food that you never get tired of eating if you’re a fan of cheese. Nachos are a classic dish to snack on, and when loaded with mince or beans, cheese, greens, salsa, and guacamole, it becomes an incredibly filling meal. The Mexican dish is not only incredibly satisfying and delicious, but it’s one of the few items on the list that provides a variety of vitamins and nutrients. It’s also one of the few food choices that are actually eaten for breakfast, lunch, and dinner. Pancakes are a delicious breakfast meal. However, they’re even better when enjoyed for lunch or dinner, which is why so many people would happily eat the maple-syrup coated cakes for the rest of their lives. Mashed potatoes are typically considered a side dish, yet the salty and buttery food is definitely tasty enough to eat on its own. Cheesecake is another food that would probably make you feel sick after just a few days, yet people decided to put their taste buds ahead of their health and chose to eat the beloved dessert for life. Good barbecue ribs tick every box. The tender meat covered in rich barbecue sauce is both savory and slightly sweet, which is why they’re hard to get tired of. Roast beef is a classic dish that most only get to enjoy on holidays and special occasions because of how much time it takes to prepare and cook. For roast beef lovers, eating the tender meat for every meal is a dream come true. Tacos are a smart choice because they’re not only delicious, but there’s a huge variety of fillings, which means it would be almost impossible to get bored on a taco-only diet. Cheese lovers are extremely passionate about the creamy and addictive food item. So much so that some already struggle to not eat it for every meal. Chocolate addicts can never get enough of the rich and creamy sweet treat. Even though it would most likely make them sick after some time, the idea of never having chocolate again is not an option. Sushi is definitely one of the smarter options if you had to pick just one food for every meal of your life. Not only is it a healthier choice, but there’s a ton of variety available. Eating fried dough that is covered with sugar every day is definitely not going to do your body any favors. While you may make yourself sick eating doughnuts for every meal, it will at least taste good while you do it. Hot dogs are another American staple that people never get tired of. However, hot dogs are made from a mixture of different processed meat trimmings so they aren’t great for your waistline or arteries. Lobster is extremely expensive and usually only offered in warmer seasons, which is why most people only enjoy the dish on special occasions. If given the choice, lobster lovers would be thrilled to eat their favorite meal every day. Pie might seem like a silly choice but considering pies can be savory or sweet depending on the filling, it’s actually kind of genius. Fried rice is a simple yet delicious meal that is hard to tire of since it can be made mixed with eggs, vegetables, seafood, or meat. 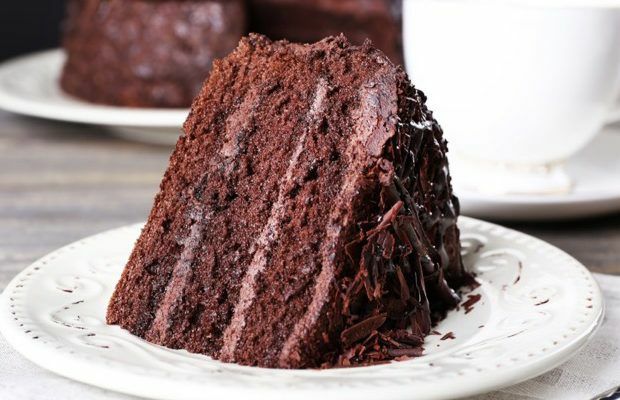 Most adults try to make practical and healthy food choices even though they really just want to eat a slice of chocolate cake. So when forced to choose a food to eat for life, many just gave in an went with what they’ve wanted all along. The dish combines cheese, breaded chicken, and delicious tomato sauce into one meal, which is why it’s no surprise so many people would happily exist on just chicken parmesan for the rest of their lives. Chicken soup is the go-to dish when people are feeling under the weather. So while it may get a little boring after a while, it will at least keep the stomach settled.